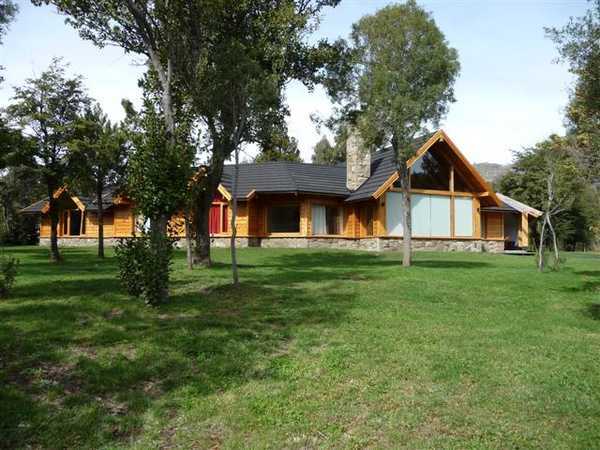 Situated in the exclusive Golf & Country Club Arelauquen 15 mins from Bariloche and 10 mins to next ski area / Patagonia. 4 bedrooms, 4 bathrooms, big living room, billard room, study room, sauna and room for employee. The house has aprox. 330 m2 and the property aprox 2.500 m2. View to the mountain Cerro Central. Situated at Golf & Country Club with 18 holes, sauna, lodge, restaurantes and stable.